ETUDE HOUSE 0.2 Therapy Air Mask Collagen uses Collagen Extract to deliver nutrition and enhance skin elasticity. 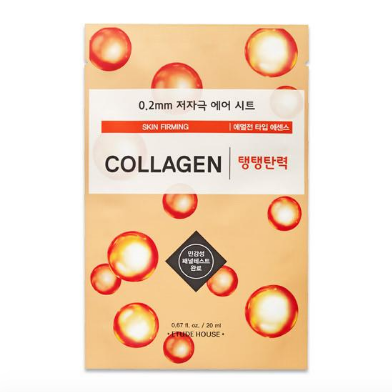 This sheet mask is soaked in an emulsion type essence containing Collagen Extract. The essence absorbs quickly into your skin and Collagen Extract leaves your face plump. Etude House Therapy Air Mask Collagen also delivers ample hydration to your skin. It is a go-to mask when you just need 10 minutes to wind down! Collagen Extract 2,500ppm – a natural protein in our bodies that is responsible for our skin strength, elasticity and regeneration. It helps to hold our skin cells together. Discover our ETUDE HOUSE range here. 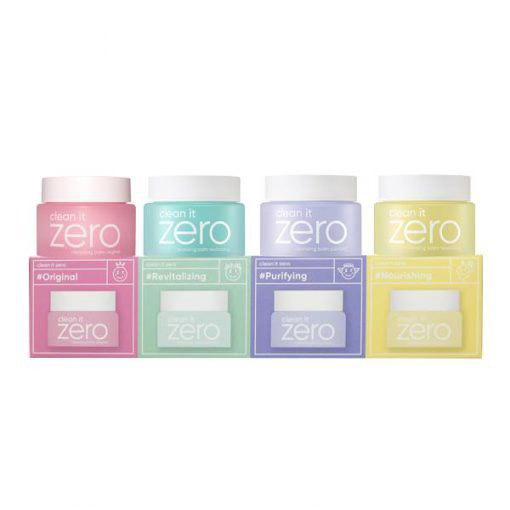 Water, Dipropylene Glycol, Caprylic/Capric Triglyceride, Glycerin, Methylpropanediol, Sorbitan Stearate, Butylene Glycol, 1,2-Hexanediol, Hydrolyzed Collagen, Sorbitan Sesquioleate, Arginine, Acrylates/C10-30 Alkyl Acrylate Crosspolymer, Sucrose Cocoate, Coptis Chinensis Root Extract, Zingiber Officinale (Ginger) Root Extract, Camellia Sinensis Leaf Extract, Glycyrrhiza Glabra (Licorice) Root Extract, Adenosine, Dehydroacetic Acid, Dipotassium Glycyrrhizate, Disodium EDTA, Boswellia Serrata Gum, Sodium Hyaluronate, Hydrogenated Lecithin, Phytosteryl/Octyldodecyl Lauroyl Glutamate, Melaleuca Alternifolia (Tea tree) Leaf Oil, Geranium Maculatum Oil, Citrus Paradisi (Grapefruit) Peel Oil, Ceramide NP, Centella Asiatica Extract, Rosemarinus Officinalis (Rosemary) Leaf Oil, Citrus Limon (Lemon) Fruit Extract.